Sometimes Industry Canada gives with one hand and takes away with the other. That was the view of some in the telecom sector when the government today announced the rules for the upcoming AWS-3 spectrum auction. Earlier in the month it pleased new carriers like Wind Mobile by unexpectedly announcing there will be a second auction of frequencies next year, with more than half of the spectrum set aside for new entrants. But today the department told reporters that to be deemed an “existing new entrant,” and be eligible to bid for the set aside, a carrier must be currently serve a minimum current population coverage of between 10 and 25 per cent, with 25 per cent coverage in more populated markets. Essentially the government is saying to benefit from the set aside you have to a carrier that has built a substantial network; just owning spectrum isn’t enough. That could means Quebec’s Videotron may have to buy Wind Mobile and maybe Mobiliticy if it wants to bid for the AWS-3 set aside outside Quebec, Dvai Ghose, director of research at Canaccord Genuity, said in a note to investors. Those two carriers operate in B.C., Alberta and Ontario. Videotron’s parent Quebecor Inc., has made noises about expanding beyond Quebec to operate a cellular network in several provinces. It backed that buy buying 700 MHz spectrum in Ontario, B.C. and Alberta in February. For technical reason’s it can’t launch service using that 700MHz spectrum likely for at least two years, Ghose noted, so the only way it could qualify in other provinces for the auction is to buy an existing operator. Videotron owns spectrum covering Toronto it bought in the 2008 auction, but it hasn’t built a network there. Similarly Wind owns spectrum in the Maritimes it hasn’t deployed yet. Ghose didn’t say, but the rules announced today could be a way the government is encouraging Videotron, Wind and Mobilcity into a marriage. Wind’s financial backer and major shareholder, Amsterdam-based VimpleCom, has been trying to find a buyer for its shares. Mobilicity has been in court-ordered protection from creditors for months. The minimum starting bid for the 30 MHz new entrant set aside in every province is $97.45 million. Interestingly, this time the auction will be by sealed bids and not in anonymous rounds of bidding. Industry Canada would like to hold the AWS-3 auction in March, 2014. However, Ghose noted that the U.S. will hold its AWS-3 auction this November. It will take some time for an ecosystem of handsets to come from manufacturers, so those hoping for immediate increased competition and decreased cellular prices thanks to more spectrum being available will be disappointed. One thing that in the short term might affect phone rates is government adjustment of the wholesale domestic roaming rates incumbent carriers charge new entrants. Wind and others have complained long and hard that Bell, Rogers and Telus charge them unfair rates for their customers to roam on the networks of the big three. While the Canadian Radio-television and Telecommunications Commission (CRTC) has promised to release a decision this week on whether it agrees the rates are unfair. However, Ghose notes the commission likely won’t set new rates now. It has scheduled a hearing on rates starting Sept. 29. But the latest federal budget does include a temporary rate change. 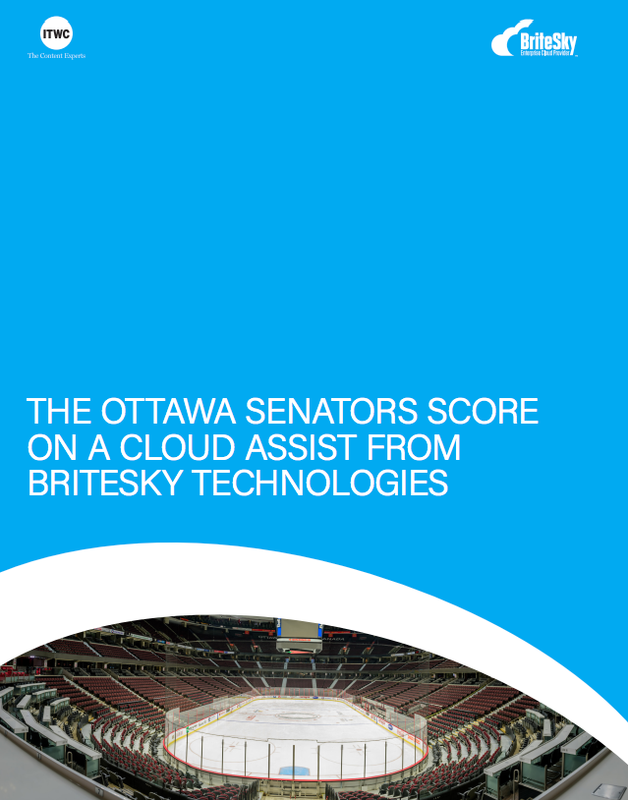 By relying on Britesky Technologies for cloud services, the Ottawa Senators can focus on the thing that matters most — the fans. Could CRTC ruling against zero-rating be a boon for ISPs and businesses?